Health informatics is a growing career field within the medical profession that combines information technology, communications and healthcare to make improvements to overall patient care. It involves honing the processes for obtaining, storing, retrieving and utilizing patient information across a network of medical providers in an efficient manner. CNN reports health informatics is a career work pursuing as this evolving industry offers rewarding potential for those interested in helping people through the use of technology. Keep reading to discover more about this burgeoning field and whether it may be a career interest you should consider. Professionals in this field focus on information technology, principles of informatics and information systems as they apply to the delivery of healthcare services to patients. This particular discipline has a wide array of specializations in which professionals can gain expertise, depending on their interests. These include, among others, healthcare delivery, public health and safety, computer technology, management science, and information science. This profession offers a great deal to the world of healthcare. It's innovated the world of medical records and helped to set standards that make accessibility to and use of data easier across settings. Experts in this field work to advocate on behalf of patients, ensuring the highest care and compliance is adhered to with regard to their sensitive information. They're blazing a course to new advances in medical technology and user ability, allowing patients to have more control of their own records, as well. There's also the overarching issues of quality assurance, risk management and cost assessment at work behind the scenes. If you should decide to pursue a program within this field of study, you will likely be able to tailor your coursework toward your area of special interest. Institutions offer various specialization options among their degree programs which can help graduates on the path to one of these jobs. It's important to examine the practical things these professionals do for their patients each day if you want to get a true understanding of the field. The maintenance of patient records in electronic form is probably the most substantial portion of the work health informatics professionals do. 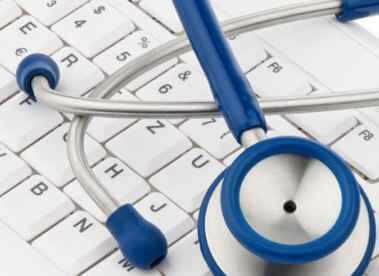 Electronic health records (EHRs) make life so much easier for patients, as well as for medical professionals. No longer do records need to be sent in physical, paper form to each provider within a network or when patients transfer to a new practitioner. Instead, important data can reach its intended user through any accessible computer. Health informatics experts also create the systems that make sure patient information is secure and only available to those who require the information and have patient approval to access it. Health informatics professionals also save the healthcare industry a great deal of money by making record keeping systems more efficient. Through such automation, errors are reduced and labor is limited. Thus, the cost savings are passed onto patients. EHRs also provide cost savings by placing more control in the patients' hands. Patients can view educational information about their condition, make and cancel appointments, and view their records whenever it's convenient for them. This field is extensive and innovative. Health informatics is a great industry to consider if you enjoy helping people, making systems more efficient and working with computer technology.